The FIFA World Cup is held every four years. Countries furiously bid to host the spectacle years in advance. The honour to host the 2018 games has fallen on Russia. A country which is often stereotyped, and actually very unknown culturally. But Russia is actually full of history thats unique and rich, and this extends to its architecture. With an estimated 1,000,000 tourists set to hit the streets of Moscow, we break down the top five architectural sites to visit during the downtime from the games. Built by the first Tsar of Russia, Ivan Vasilyevich (Ivan the Terrible), the Cathedral started its construction during the mid-16th century. The impressive structure stands near the Kremlin in Moscow, the city the World Cup is currently invading. Completed in 1561 by the Tsars Grandson, the Cathedral was constructed in honour of a number of military conquests in the 1550’s. The architect remains unnamed, though some believe him to be Italian. Another belief is that a pair of Russian’s called Barma and Posnik designed the nine chapel Cathedral. 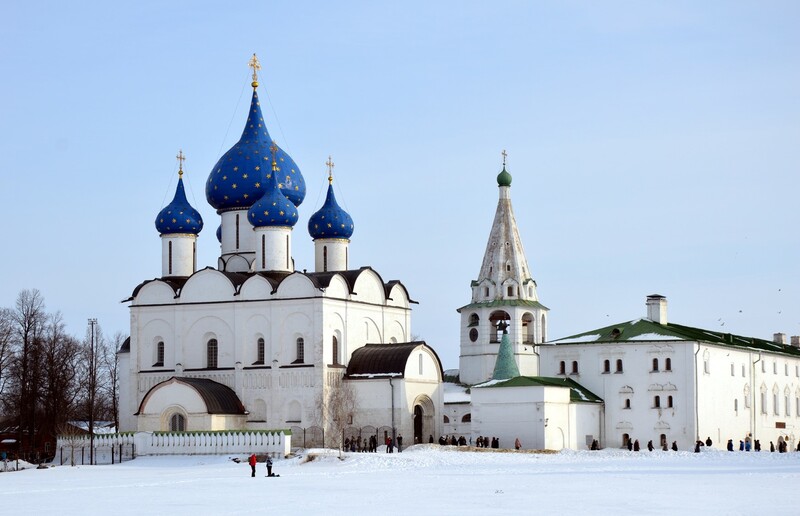 This amazing duo is a World UNESCO Heritage Site located in Suzdal Kermlin. The wooden St Nichola’s church dates from 1766, and hails from the village of Glotovo, however has since been relocated. The church is a similar design to that of a wooden ‘izba’ house. Standing on a tall ground floor, it now sits adjacent to the Cathedral of the Nativity, one of the eight white monuments of Vladimir and Suzdal. A complex example of medieval Russian architecture, the Cathedral was originally constructed in the late 11th century. The building we see today was the replacement ordered in 1222, with the addition of brick walls in 1528. Both sites have been protected under UNESCO since 1992 and can be viewed year round for a small fee. The Winter Palace in St Petersburg is actually a pretty well known architectural piece from Russia. With its beautiful green colouring and gold accents, the palace is a sight for sore eyes. The Baroque style palace was build in the mid-18th century and for 150 years it was used as an imperial residence. 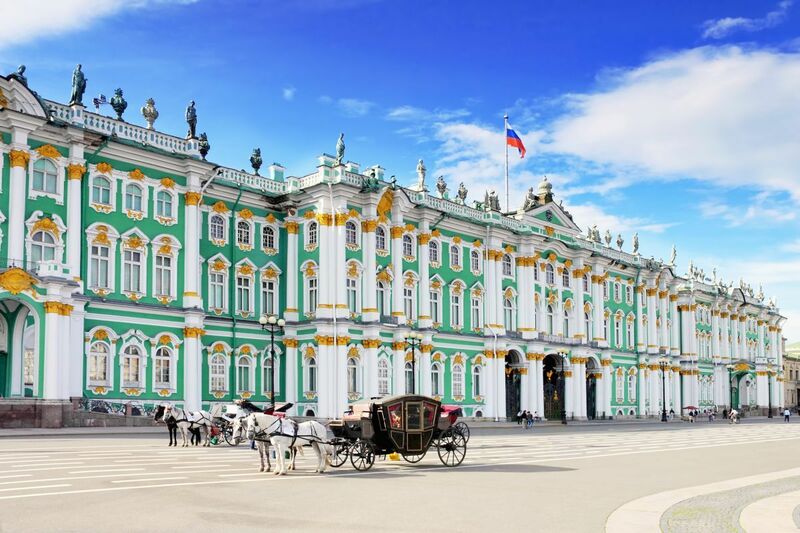 Following the revolution however, it was made a museum, which you can visit today as a part of the Hermitage Museum. Said to contain 1,500 rooms, 1,786 doors and 1,945 windows, the Palace has been known as a Palace of the town, rather than a closed off Palace like that of Versailles. This is because it was viewable and accessible to the public, with the most famous facade being the one pictured above. Its an iconic piece of Russian history and a testament to the hold Russian Monarchy. 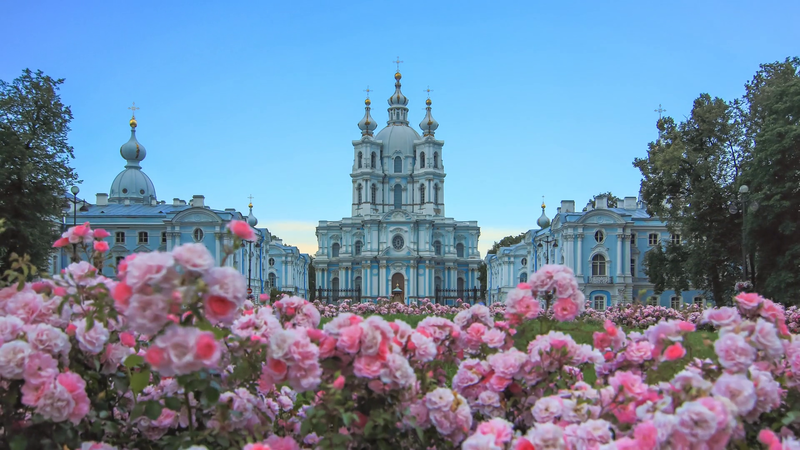 The Smolny Convent is a beautiful example of Russia’s architecture. The masterpiece was actually designed by Italian architect Francesco Bartolomeo Rastrelli. Who is actually the architect of the above Winter Palace, as well as a number of other iconic sites. With a lovely blue and white colour palette, the Cathedral stands within a complex of onion-domed shaped towers. 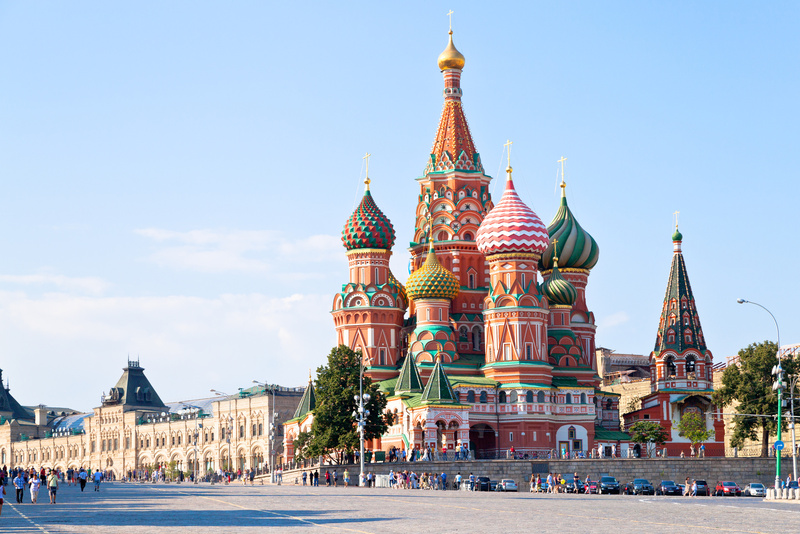 These onion domes are tipped with gold, a theme we can see the Russians liked back then. Having been built in 1748, the Convent is another great example of Baroque Russian architecture to visit during your stay. 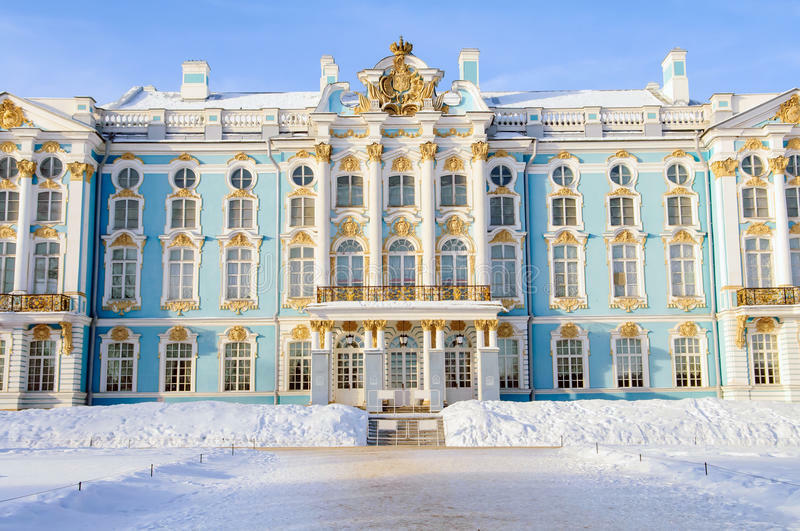 Our final recommendation for the history buff is Catherine Palace. Located in the town of Pushkin, (30km from St Petersburg), this palace was the summer residence of the Russian Monarchy. The residences were constructed in 1717 by Catherine I of Russia and was designed by German architect Johann-Friedrich Braustien. It has since been expanded on however, when in 1733 Express Elizabeth commissioned an expansion. An interesting tibet of history within the Catherine Palace is the replica of the Amber Room. The room was decoration in amber panels, and mysteriously went missing during World War II after being dismantled. It has since been considered an 8th wonder of the world. You can visit the reconstruction within the palace today. With such beautiful history, which is so unique, Russia is the perfect place for any history buff.